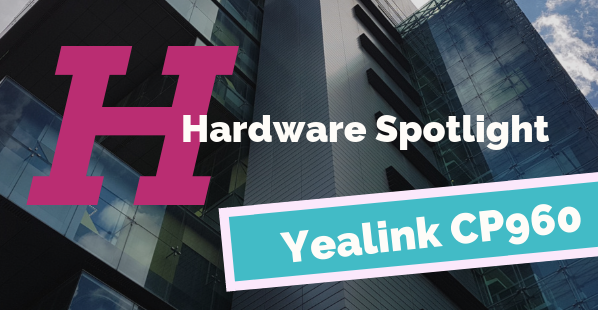 Since it’s release in 2017, Yealink’s state-of-the-art conference phone has quickly risen in popularity. The CP960 boasts a modern sleek design featuring a 5-inch display screen, with Android OS underneath the bonnet, worthy of any high tech smartphone. 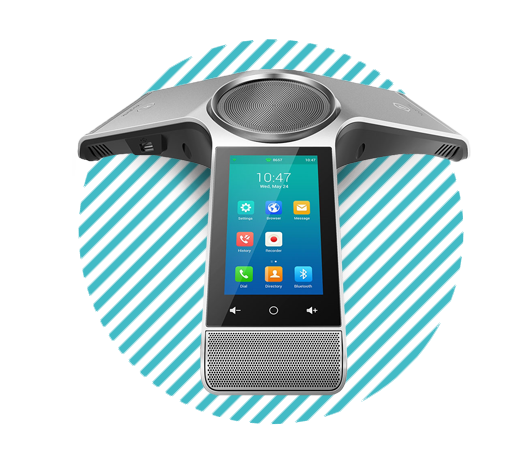 Equipped with a 360-degree pick-up range and an array of Yealink’s finest technologies, the CP960 is perfect for any conference room. The CP960 boasts a 6-meter 360° voice pick up range making it perfect for large meeting spaces. Cheers to not being asked to raise your voice anymore! 5-inch multi-touch screen with 720×1280 resolution. The model comes equipped with the patented Yealink Noise Proof technology engineered for creating the perfect conference environment. The Noise Proof technology helps to reduce the incessant sounds of typing, clicking and frisky air conditioners. In addition to that, the Noise Proof technology smartly detects when a person isnèt speaking and mutes the microphone in response. The device offers up to five-party conferencing. Say goodbye to asking who’s speaking because this savvy model comes with the Yealink Active Speaker technology that automatically displays whose currently speaking. Two additional CP Wireless Expansion Mic CPW90.